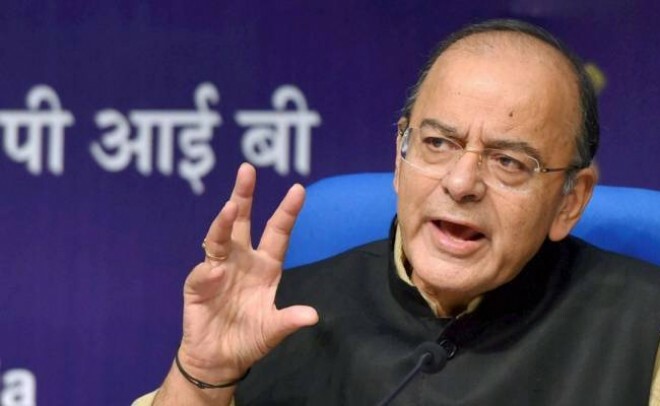 New Delhi, Feb23: India will exercise all options, diplomatic or otherwise, to win a decisive battle against Pakistan which is responsible for Pulwama terror attack, Finance Minister Arun Jaitley said on Friday. Describing Pakistan as a 'rogue state', he said it is not acting against perpetrators of the attack, though the guilty have themselves admitted to the attack and were taking credit for it. Pakistan leadership, he said, is 'riding a tiger on this issue and tiger never spares its own rider'. As many as 41 Central Reserve Police Force personnel died in a terrorist attack on February 14 at Pulwama in Jammu and Kashmir. India today is extremely angry, he said, adding 'in my lifetime, we have seen wars, we have seen human tragedies, we have seen prime ministers assassinated by terrorists'. 'But the kind of anger which has been there, even on previous occasions, the one this time is unprecedented'. Prime Minister Narendra Modi has already stated that India will exercise all its instruments at its commands, whether it is diplomatic or otherwise. Referring to Pakistan Prime Minister Imran Khan's speech, Jaitley said, 'the head of the government says, give me actionable intelligence. You need an actionable intelligence if it is a blind offense, but here is a man sitting in your own country who owned up to the offense.